​ of my grandmother washing dishes. The horizontal sacred is that side of the sacred that finds its home in felt relationships in this world: relationships with people, with plants and animals, with kitchen sinks. It may or may not look up to the heavens. It does indeed look out into the world and into the memories that flavor our experiences of the world. Together the memories and the things of the world, combined with our feelings about them, give us our sacred spaces. Do you have a sacred place? Is there some part of the earth where you feel close to something deep and rich, difficult to verbalize but quietly divine. A place where you go for refuge? A place where you dream? Maybe you are thinking of some place somewhere in "nature." I am thinking of that, too. I am thinking of a portion of the Guadalupe River in the hill country of Texas where my parents took me when I was a young boy. See Finding God in Rivers and Dogs. But the video snapshot offered by Terry Tempest Williams reminds us that for some people, maybe many people, one such place is also the kitchen. Especially if it has a window and we can look outside, while we are washing dishes, and see something that is a companion to our dreaming: a sycamore tree. Another place we can take refuge is in memories. Terry Tempest Williams takes refuge in the memory of her grandmother standing at the kitchen window, with water running, dreaming. No doubt her grandmother took refuge in memories, too. The kitchen and the running water, the memories and the dreaming are part of "nature," too. At least they are part of "nature" as process theologians think of nature. Nature is not something external to human life or alien to human subjectivity. Our lives and our subjectivity are inside "nature" too. Memories and dreams are nature naturing. Buddhists invite us to take refuge in the Buddha and his teachings and also the Sangha. Sangha means something like community and in Buddhism it has many meanings. At one level the Sangha is a community of monks and nuns. At still another level it is all human beings. And still another it is the earth as a whole, with all its living creatures. And at a still deeper level it is the whole universe. What can it mean to take refuge in the universe? Scientists might tell us that the universe consists of all the things we can see with our eyes and measure by instruments. But there is something very limited and overly abstract about that way of thinking. Terry Tempest Williams gives us something much more concrete and true to life. In her short snapshot the universe takes the form of a kitchen sink, with water running, a sycamore tree, and her grandmother. They are concrete realities in which, in the words of Whitehead, the many of the universe become one, as blended into a reality called home. Home is a pattern that connects. Of course this localized pattern -- home -- is itself nested within countless other connective patterns, some of them made by humans and some of them created by the more-than-human world. From Whitehead's perspective, the ultimate ecology of mind in Whitehead's thinking is that community of communities of communities called God. Always we are within this whole, this diversified unity of the universe, This divine whole is the connective tissue of the universe, the deep pattern. which is itself changing, all the time, because every change in the universe is a change in the patterm. Imagine a mother in whose womb the universe unfolds. The whole is the mother. She is the pattern who connects. The pattern is her own ecology of mind. The possibilities she carries in her mind are the patterns, many of which are embodied in the events of the world. Laws of nature, to be sure, but also laws of love. Well, not really laws, but rather habits of the heart. For some people, then, the kitchen becomes a sanctuary in which something of divine love is felt in the warmth of a home-made ambience. The creativity of the kitchen -- the cooking and cleaning, the memories and dreamings -- are in their own ways acts of worship. They, too, are nature naturing. The kitchen is a place where, in community with others, the habits of the heart can develop, in communion with healthy food, healthy families, a healthy earth. There's a lot of novelty in this kind of worship. As her grandmother stood at the kitchen sink, encouraged by the sycamore tree, blending her relationships into her own ecology of mind, she added something new to the universe, moment by moment. If God is the sacred whole of the universe, she helped create that whole. Some people speak of this novelty as home-making. At least this is the ideal. We best avoid romanticizing all of this, lest we forget the brokenness. We do indeed live in a broken world, in which relationships of all kinds are severed and in which there are far too many victims: including women whose only "place" is the kitchen and whose only dreams are to escape abusive husbands, including birds whose voices are lost to silent springs, including children whose only experience of a sanctuary is a refugee camp. Back to the deep pattern. Whitehead proposes that there dwells within our universe a spirit which suffers the pain of all the brokenness, which beckons us to fall in love with the beauty, which avails us of new dreams, even when the old ones are lost. This spirit is both a compassion who suffers from the woes and an inspiration who lures toward beauty. You can get a sense for this by reading Patricia Adams Farmer in this website. Patricia Adams Farmer is among the most gifted process theologians of beauty. In the spirit of Terry Tempest Williams she believes beauty is one of the most important gateways to the love at the heart of the universe. Some people may find it hard to believe in a beauty-giver even though they are awed by the beauty. There's too much violence, too much sadness. We process theologians believe the the power of God is to inspire beauty and redeem broken dreams, but not to prevent the breakage. God is all-loving, but not all-powerful. 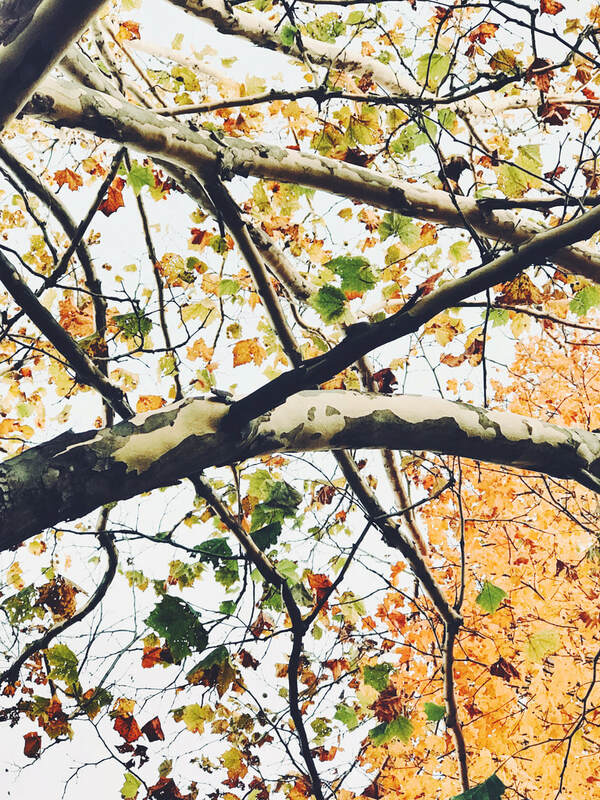 In any case we find ourselves grateful both to the sycamore trees with its puzzle-piece bark and to writers like Terry Tempest Williams for reminding us that the gate can be as close as the kitchen sink, and the running water, and the sycamore tree. And the dreaming. We find ourselves grateful to Gregory Bateson, whose language and ideas parallel and enrich the Whiteheadian perspective, reminding Whiteheadians that cosmology is not enough. There needs to be an epistemology of ecology. Gregory Bateson offers it. And we find ourselves grateful to the Center for Digital Storytelling for reminding us that the best forms of theology are not pronouncements or declarations, but rather stories that come from the heart, shaped by landscapes, waterways, kitchen sinks, and grandmothers. And for reminding us that our need today is to hear as many stories as we can and respond with love and justice. Justice is fidelity to the bonds of relationship, human and ecological. It is a way of participating in the pattern that connects. Justice is a form of beauty, too. It involves much more than policy-making. It begins with remembering, and dreaming, and making homes of broken relationships.